The company has been formed as a result of a management buy-out from Incisive Media. We are a respected and innovative B2B and B2C publisher with over 28 years’ experience delivering customer solutions to the mortgage and personal finance markets. Delivering award-winning editorial content through market leading brands enables us to help clients engage with and influence the behaviour of their target audiences. The portfolio delivers content to our audiences in digital format, in person and as physical content, and has products designed to serve every part of the distribution chain. Your Mortgage has been the UK's market-leading consumer brand for 28 years. It tells borrowers everything they need to know about mortgages, delivering objective advice including best-buy tables, mortgage calculators and product guides to help UK consumers through the home-buying process. It also provides advertisers with a highly targeted audience that are actively seeking to purchase financial products. Your Money is a comprehensive brand covering all aspects of personal finance from banking to insurance to investment. It is a consumer-focused website helping consumers make money, save money and understand money with an objective of educating, inspiring and helping users transact. Further up the supply chain, Mortgage Solutions is a market-leading B2B brand offering up-to-the minute news, features, analysis and opinion to the intermediary community. This brand allows mortgage lenders, packagers and distributors to showcase their product and service offerings to a qualified and targeted IFA/mortgage broker audience. The brand provides a central knowledge hub for the mortgage industry. The division has a comprehensive and well-respected programme of business-to-business events that deliver critical information to targeted mortgage broker/IFA audiences in a wide range of niche mortgage sectors. 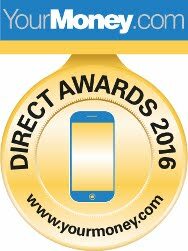 These include the British Mortgage Awards, British Mortgage and Protection Senate and The Mortgage and Protection Event. We also produce a series of roadshows and events for trade bodies and distributors, including Legal & General, AMI and IMLA. 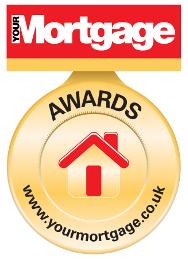 Additionally the Your Mortgage awards and Your Money awards are the market leading schemes rewarding excellence in the consumer mortgage and personal finance arena. 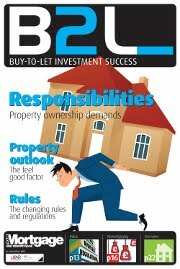 The team also produce regular contract publishing projects for lenders and key mortgage distributors. These communications are delivered via events, digital assets and physical content. Our independently branded activity form a critical part of our customer’s communication programmes proving a highly effective way of promoting engagement with customers.